The word Malamine reminds people of tainted food. Few days ago, colleague had their delicious bowls of fish soup. When they are done, this is what we saw. Perhaps the melamine bowls need to be replaced with new ones. 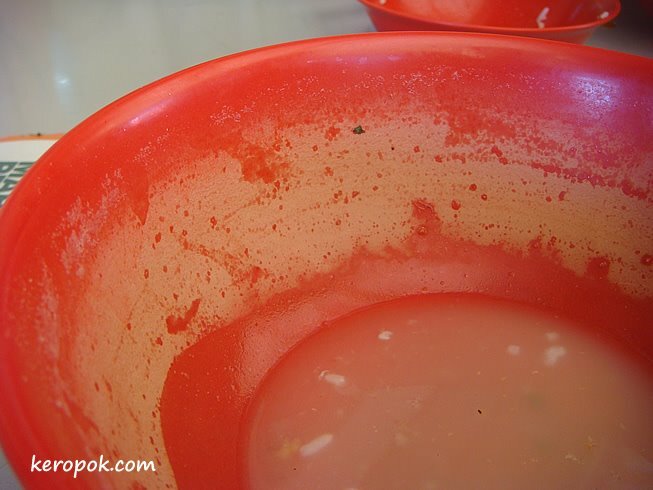 The more than 100 Celsius hot soup must have 'corroded' the shiny surface? Hmmm.. is this safe to use?